The Dave Matthews Band will be performing at the Festival d'été de Québec ! Dave Matthews and his crew will be playing on the Abraham Flats on the last night of the festival, Sunday, July 15th, 2018. 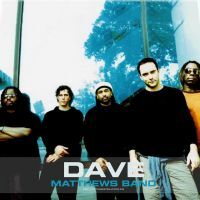 Don't miss the Dave Matthews Band as they perform their many hits, including Crash Into Me, Two Steps, The Space Between, Don't Drink the Water and many more !